The CPA is dedicated to "Advancing the profession of physiotherapy in Canada in order to improve the health of Canadians." This website provides current research, physiotherapy news, information for consumers, advocacy, advice on careers in the field of physiotherapy, and continuing learning. This organization provides support, representation, and promotion for the physiotherapy profession in Saskatchewan. They also encourage excellence and innovation in practice and research. 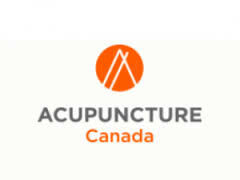 We’ve been teaching health professionals how to integrate acupuncture into their practice for 40 years. Our teaching certificate (CAFCI) guarantees the highest standards of treatment and professional care. and to the protection of the public. We are a registered non-profit organization consisting of over 800 registered massage therapists. The National Strength and Conditioning Association (NSCA) is the world-leading membership organization for thousands of elite strength coaches, personal trainers and dedicated researchers and educators. 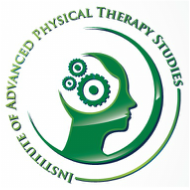 All of the physiotherapists at Diane Lee & Associates are experts in the physical diagnosis of movement impairments and have taken several post-graduate courses in their specialty. The Canadian Powerlifting Union hosts competitions and provides opportunities for athletes, coaches, officials, and volunteers to develop their skills at national levels. The APA is one of the largest International Powerlifting Organizations in the world, and is affiliated with some of the strongest lifters on the planet. Their website included links to events and results. Bodytribe is Northern California’s hub for modern physical culture, where intensity, camaraderie and compassion create the ideal philosophy for the best relationship you can have with your body. Located in Austin, TX (at the Onnit Academy), DeFranco’s Gym caters to serious athletes who are looking to take their game to the next level. Our gym has been called the “mixed martial arts” of the training world due to our expertise in improving ALL aspects of athletic performance. 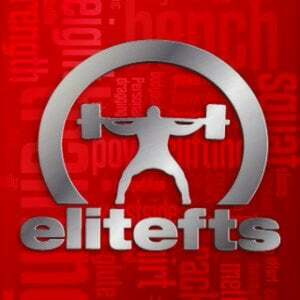 Elitefts's main purpose is to inform, educate and outfit powerlifters, athletes, strength coaches, personal trainers, gyms and training facilities around world. The World Powerlifting Alliance was established in 1987 and is the international arm of the APA. Local producer that is economically viable, environmentally responsible and socially positive --- for the farmer and the consumer! The purpose of this website, which has been written in an easy-to-understand language, is to educate the layperson, healthcare profession student, and healthcare professional about the common causes of chronic back and leg pain, as well as the available treatment options for these conditions. At Mayo Clinic, over 3300 physicians, scientists and researchers share their expertise to empower you. Thousands of people from around the world travel to Mayo Clinic locations in Arizona, Florida and Minnesota each year for medical care.